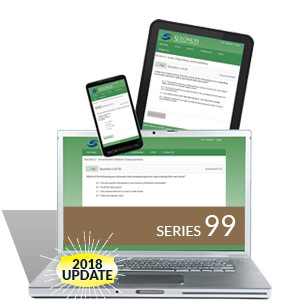 The Series 99 Premium Study Package comes with Solomon's bestselling Exam Study Guide, Video Lecture and industry-leading Online Exam Simulator to facilitate learning and knowledge retention. 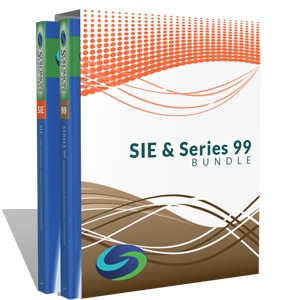 The Series 99 Essentials Study Package comes with the industry-leading Online Exam Simulator and Exam Study Guide. 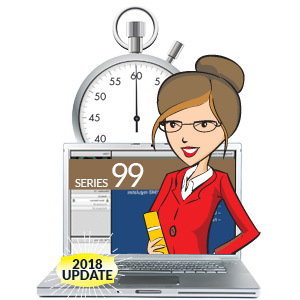 The Series 99 Online Exam Simulator is the industry-leading, online testing solution for the Series 99 - FINRA Operations Professional Qualification Exam! 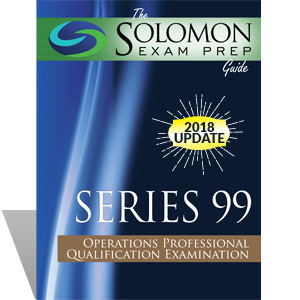 The Solomon Exam Prep Guide to the Series 99 will help you tackle the Series 99 exam by focusing on the most important and difficult concepts of the exam, such as issuing and trading securities, packaged securities, clearance and settlement, taxes, anti-money laundering, transferring funds, securities and accounts, prohibited practices, conduct rules, customer privacy rules, and much more! 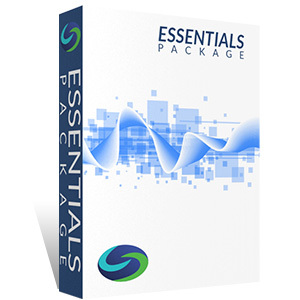 Having trouble nailing down the most important concepts for the FINRA Series 99 Exam? Award-winning professor Karen Solomon and Solomon Exam Prep’s president Jeremy Solomon will take you through the most heavily tested subjects in this online video lecture. I passed the Series 7 on my first attempt after using the Solomon study book and practice tests. The practice tests were crucial in understanding how the official exam would ask questions and greatly benefited me. Dear Solomon Exam Prep, Thank you for your great exam prep materials for the Series 82 Top-Off Exam...I recently took it and passed.